Dreamforce, the world’s largest non-profit technology conference, wrapped up recently in San Francisco, California. Over the four days, a number of trailblazing technologies and ideas were announced that will change the way small and medium enterprises (SMEs) globally do business. Salesforce is much more than just the world’s leading CRM system. It is a system architecture designed to give SMEs control over their data and deliver richer customer experiences. Its platforms – Sales Cloud, Commerce Cloud, Marketing Cloud and Service Cloud – provide knowledge-driven insights to the sales, marketing and customer service functions of a business and take action through artificial intelligence (AI). Some of the biggest announcements at DreamForce centred around Einstein AI. Salesforce has maintained that the purpose of its AI brainchild is to make people’s jobs easier, rather than replacing humans entirely. The announcements are therefore all about giving businesses more power from anywhere and helping them take advantage of insights in sales and marketing. These changes are the latest in a line of improvements that Salesforce has made to a system that delivered as many as 475 million predictions, recommendations and lead scores last year. Businesses can now use sales cadences to create sequences for their sales teams to follow, which can be set out to meet legal requirements or best practice. Managers can effectively set up a cadence to train their sales representatives live. This creates a dynamic sales environment where sales representatives are guided to listen to customers and the technology is empowering them to improve customer experience. One of the biggest initiatives to come from Dreamforce was Einstein Voice Assistant, which enables users of Salesforce’s platforms to work in their CRM through the voice function of their phone or smart speaker. Salesforce can be easily accessed and changed in the field using any device, and this innovative system will allow users to make their alterations hands-free. Through Einstein Voice Assistant, users can access dashboards, make updates and access briefings in conjunction with Siri, Google or Alexa. 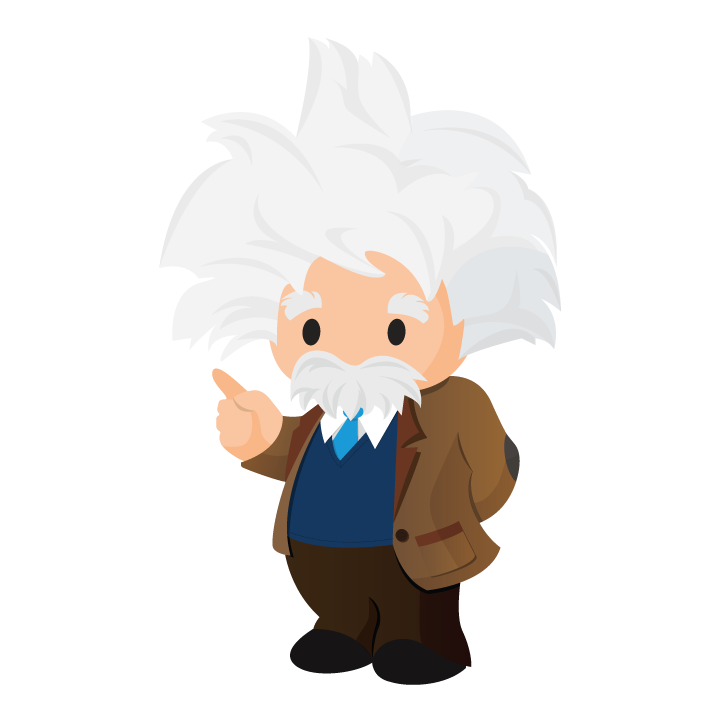 Salesforce users with Einstein Voice can speak conversationally into their phones to log notes, set up phone calls, create meetings, look at follow-up tasks and analyse insights. In meetings, Sales representatives can speak to their phones to draw up the information they need and display it for other participants. The ever-increasing popularity of smart speakers suggests that these Salesforce features are essential for the future. A study conducted by Voicebot, PullString and RAIN Agency his year found that almost 20 per cent (19.7 per cent) of US adults have a smart speaker, a number which equates to roughly 47 million people. The survey also predicts 50 per cent growth in adoption by the end of 2018 – meaning 30 per cent of the US population will have them. Another Voicebot report found that when someone buys a speaker, they tend to use it. Just short of two-thirds, 62.7 per cent of people surveyed, said they used them daily. Only 12.7 per cent ‘rarely’ used them. Forbes reports on studies showing that 20 per cent of mobile searches were voice services in 2016 and that, by 2020, half of all searches will be voice searches. In episode #11 ‘Live from Dreamforce‘ on the Blirt podcast, we point out the adoption of smart speakers are reminiscent of the smart phone revolution. It’s likely we will see employees coming to work with smart speakers in the future, expecting to be able to connect them to the CRM and bring up insights in meetings. Einstein’s Voice Assistant will help to make that a reality. Einstein Voice Bots, another product, enables businesses to create personalised voice experiences for their customers with its Bot Builder, which links into Salesforce and enables customers to speak through any smart speaker. The Salesforce app for Apple systems is being rethought, with the integration between Siri and Einstein AI one of the results. A host of iOS 12 capabilities will work in conjunction with Salesforce, including Widgets, Face ID and Business Chat. The new app will be available in early 2019. Salesforce Mobile software developer’s kit (SDK) has also been optimised to work with Swift – Apple’s programming language. Salesforce Mobile SDK enables businesses to develop their own apps that work inside Salesforce and use the power of its platforms. With Salesforce, businesses can use the right combination of metadata and code-driven tools so that they can customise their apps to work the way they need to. 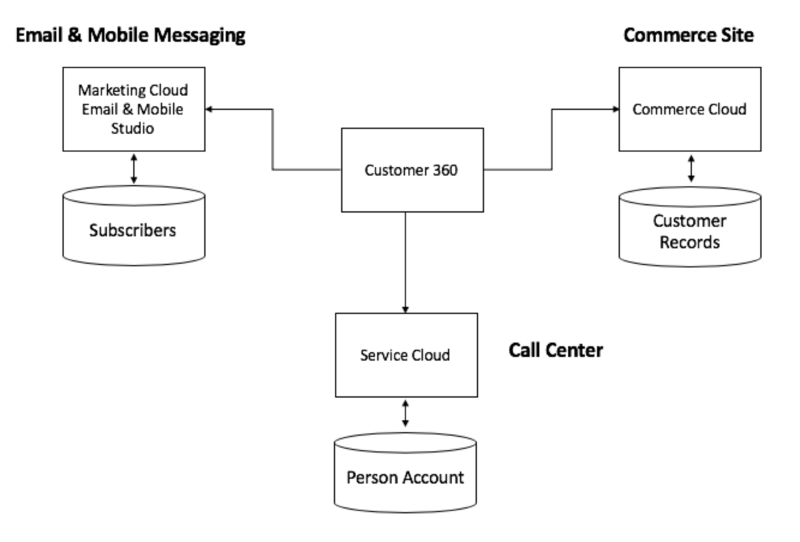 Salesforce’s Mobile SDK adds to the customisation and allows different frameworks and languages. The reworked Salesforce Mobile SDK will be available later this year. Apple will also launch a new learning platform called Get Started with iOS App Development Trailhead Trail that will teach keen developers to build iOS apps using Swift – which will be a useful skill for career growth. Salesforce continues to build its partnership with Google, chiefly through better integration between Salesforce Sales Cloud and Google Analytics 360. Einstein Lead Scoring and other e-commerce measurements can be imported into Google Analytics 360, which helps businesses gather more insights from their purchase data. There are also a suite of productivity improvements that the closer relationship has brought about, including a feature which enables Salesforce tools to appear in Gmail, and the Lightning Object Creator, which can turn a Google Sheet into a Salesforce app within minutes. Salesforce announced a closer integration with AWS, where it currently runs most of its public cloud workloads. Salesforce is now on AWS in Australia and Canada, which represent its first infrastructure expansions internationally using cloud services from AWS. It’s expecting accelerated growth in both countries as a result. The expanded partnership with Amazon is will offer enhanced privacy to app developers, who will be able to use an Amazon network connection instead of the public Internet, and it will allow customers who use both Salesforce and AWS to publish and subscribe to Salesforce Platform Events in AWS in a much simpler fashion. Customer 360 will be a revolutionary tool enabling SMEs to link up platforms so that marketing, commerce, sales and service all work together. Salesforce’s platforms for marketing, commerce and service – Sales Cloud, Marketing Cloud, Commerce Cloud and Service Cloud – work in slightly different ways. For example, Sales and Service Clouds’ consumer records are Person Accounts Objects, Marketing Cloud has subscriber tables called Data Extensions and Commerce Cloud’s customer tables are Customer Records. Customer 360 is a new system that gives customers a unique identification and marries together the same customer’s records across the system, ensuring the records are updated and that there are no duplicates. The end result is greater power for SMEs to deliver better customer experiences. For example, Customer 360 will allow marketers to use Marketing Cloud to create a journey for abandoned shopping carts that are triggered by Commerce Cloud, which can lead to further sales. Customer 360 is currently in a closed pilot release but it is expected to be made available for the general public in 2019. You can also click here to see the complete series of announcements on the Salesforce website. Blirt shows you how you can make your business a more successful, data-driven SME by using the world’s leading CRM platform, Salesforce. As a Salesforce Cloud Alliance Partner, Blirt knows how businesses can use the system’s latest innovations to improve customer experience. If you would like to develop your own data strategy that will improve the experience your customers have, we can book a discovery call and help get you started. If you are passionate about Digital Transformation and how it can change your business, make sure you check out The Digital Transformation Show by Blirt.